“The Most Realistic-Looking and Beautiful Virtual Fish Tank” Immerse yourself in a stunningly realistic fish tank right on your computer desktop. 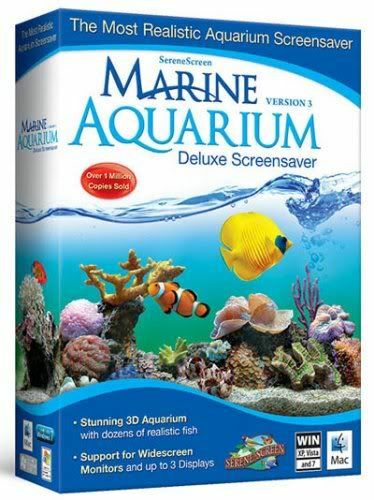 Customize your aquarium with a wide variety of fish and be captivated by their life-like behavior as they swim through a 3D reef. Marine Aquarium delivers a mesmerizing, high-definition experience. * Customize your aquarium with adjustable lighting, bubbles and sounds! Please read the TIMETRAVEL.doc inside.